Snowpants: Good condition Project Powder size 12, perfect for a second pair that you can wear on a sunny bluebird day. 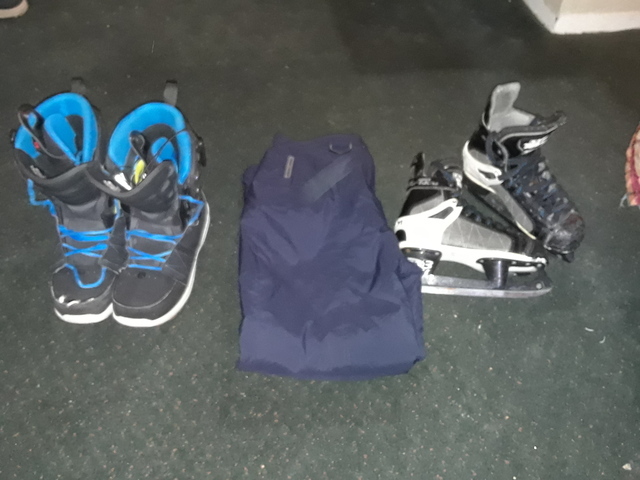 Skates: Pretty worn in CCM track 852, size 7.5 (41). great if you want a pair to rip up and destroy at a free skate. Snowboard boors: Worn in but still in decent condition. Size 10 UK. If you need a pair to wear so you can keep your good pair for longer than these are the ones, very comfortable relatively stiff but not so stiff your feet are going to be hurting after one run.